There are four separate projects in the works along Interstate and Route 295 that could cause traffic delays for months and years to come. Decades-old bridges will be rehabilitated and new connections will be constructed after the District committed to a multi-million dollar investment deal along the Anacostia River. WASHINGTON — It’s only eight miles long, but there are four separate projects in the works along Interstate and Route 295 that could cause traffic delays for months and years to come. Decades-old bridges are being rehabilitated and new connections are being constructed as the District commits to a multi-million dollar investment deal in transportation along the Anacostia River. Interstate 295 was first opened to traffic in the mid-1960s. It carries traffic from the Capital Beltway near National Harbor toward the 11th Street Bridge. D.C.’s Route 295, a separate freeway that falls short of interstate standards, moves traffic from I-295 and the 11th Street Bridge above Pennsylvania Avenue and toward local exits in Northeast Washington. Collectively, the north-south corridor has carried tens of thousands of drivers everyday through the eastern side of the city for more than half a century, but many of its bridges are in need of repairs. The District Department of Transportation says the rehabilitation of several structurally deficient bridges just south of Pennsylvania Avenue and above South Capitol Street near Joint Base Anacostia Bolling could affect traffic during middays, weekends and overnight hours through next spring. “Along the 295 corridor we have four projects that are ongoing. Within the corridor itself, drivers should experience lane shifts … and will have weekend and night closures along the corridor as well,” said Delmar Lytle, the South Capitol Street Program Manager for DDOT. The off-peak lane closures near Pennsylvania Avenue have led to long backups since the rehabilitation of a bridge above a park access road began last summer. The $11 million endeavor will bring two elevated ramps and the freeway’s overpass up to code. Another set of overpasses that carry northbound and southbound traffic above South Capitol Street near Bolling will also be rehabilitated, and that work is expected to last through October 2019. “Right now in the District we have six structurally deficient bridges. The projects along the 295 corridor will take care of three of the six,” Lytle said. With rehab for a fourth structurally deficient bridge in the pipeline, Lytle expects that by the end of 2022, there will only be two remaining structurally deficient bridges within the city. 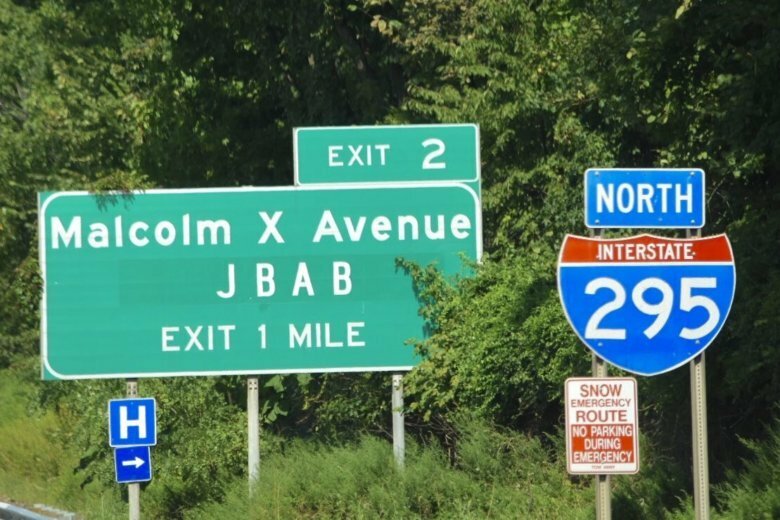 Meanwhile, there are also big upgrades planned for the Malcolm X Avenue and Suitland Parkway interchanges for I-295. With the Department of Homeland Security Headquarters moving to the old St. Elizabeths Hospital campus, the District plans to reconfigure the junction between I-295 and Malcolm X Avenue, adding new ramps, service roads, paths and a few carefully placed traffic signals. The $91 million construction won’t be completed until at least 2022 but the modifications are expected to allow traffic to circulate seamlessly to and from the new federal complex and the front gate of the Air Force base to the west of the highway. Finally, a portion of the the District’s mammoth, $441 million replacement of the Frederick Douglass Bridge will include construction of a new traffic oval east of the new structure and a revamp of the I-295 and Suitland Parkway interchange. All told, DDOT said the safety improvements, new connections, new pedestrian trails and storm water management upgrades amount to a $540 million investment in transportation along the Anacostia River.